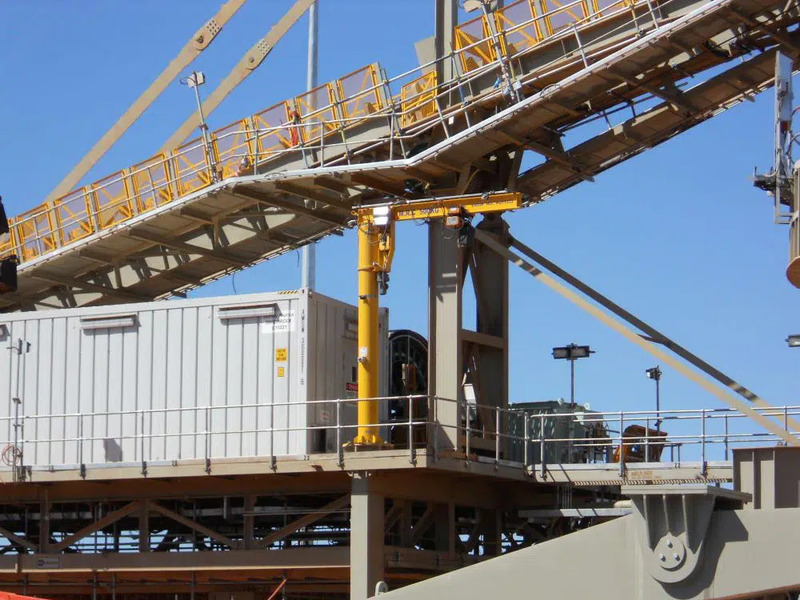 Jib cranes are an efficient and cost effective way of material handling and we can develop a solution which is versatile and easy to operate. 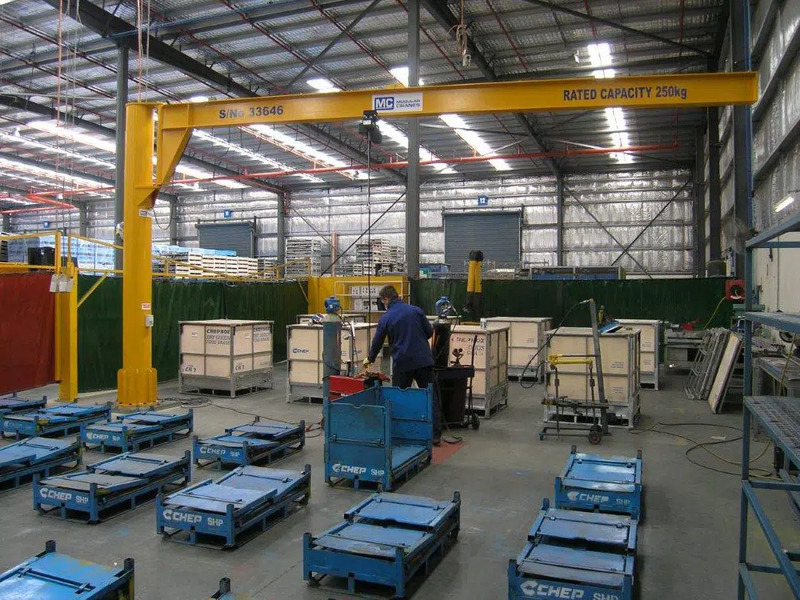 Jib cranes are space-saving, economical, solution for lifting and moving items for assembly within a smaller radius. Jib crane with advantages of the simple structure, operate convenience, turning agile, wide working conditions. Energy-saving, time-saving, effort-saving, safe and reliable operation. They are constructed with a horizontal beam arm – the jib – which is swung by a moveable hoist. 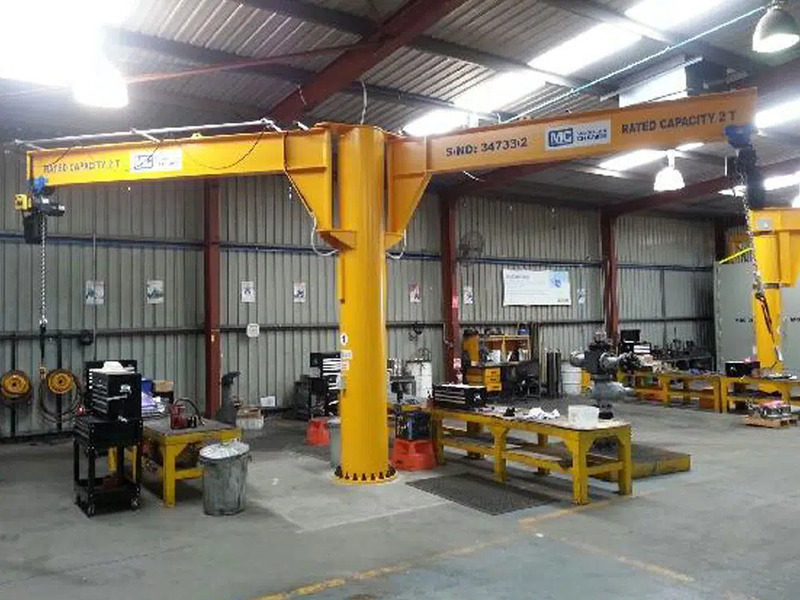 Jib crane is fixed to a wall or the ground by a mounted pillar. Jib crane is mainly composed of top column, low column, main girder, main girder pole, electric hoist, rotation mechanism and electrical system, etc. 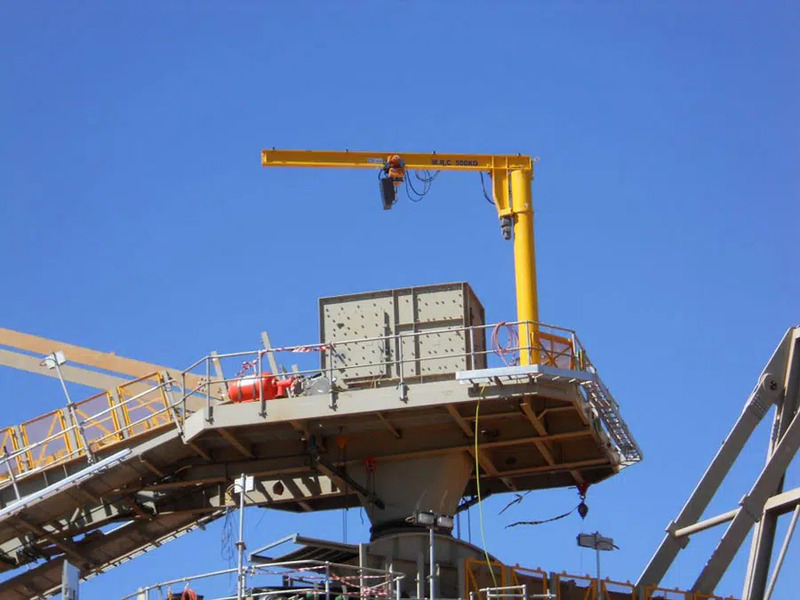 Jib cranes are normally controlled by with radio remote control or push button pendent control. 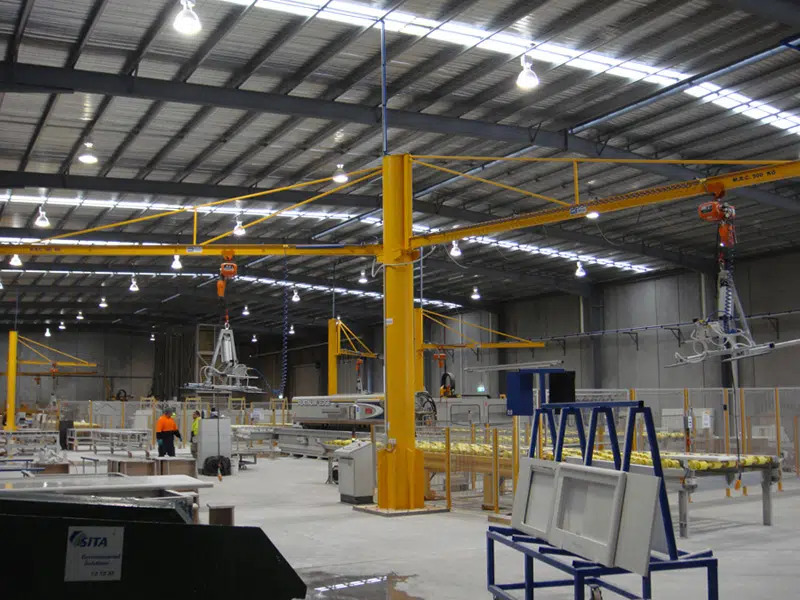 Free standing Jib Cranes are directly fixed on the floor without any support to keep it upright. To maintain its stability, these cranes are fixed to a square foundation base. 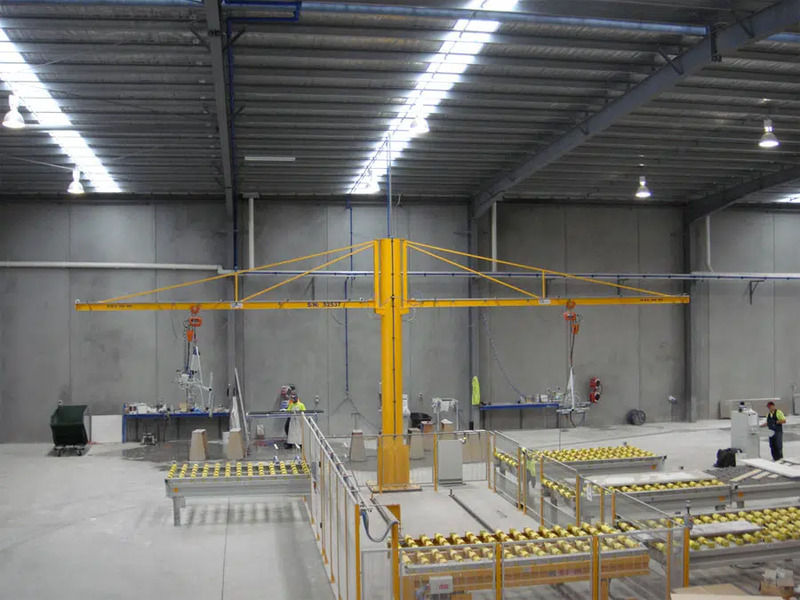 Advantage of this type of crane is it doesn’t need a support wall or structure and provides optimal range of span and control.